An attempt to be adept in the kitchen one dish at a time. Just back from a month-long trip, which hopefully explains why this blog went without a post for so long, I thought it fitting to share a simple favorite to start the momentum going again (crossing my fingers). You see, before a long journey, I try to do as much work as possible in the hopes that when I get back, I won’t have too much of a backlog. But we all know that that never actually happens, right? So I try to catch up. Which means no lunch outs for at least a week (which usually happens pre and post travel), but that’s ok. I had this most of last week. You should know by now that canned tuna never fails me and no matter what, it has to come with capers and dill. And so it goes without saying that my version of the tuna sandwich/salad – whatever you want to call it has both and more. See? that’s tuna, capers, dill, mayo, salt and pepper to taste. That’s pimento to add a hint of smokiness to it. So there you have it… my tuna sandwich. Simple, I told you, and different, in a good way. Have a great weekend, you guys! We’ve been experiencing cold climate of record-breaking proportion (relative, of course, to my part of the globe) since the start of the year. This wonderful weather seemed to have followed us from San Francisco, where I spent my Christmas break with friends and family. They say though that summer officially starts right after the Chinese New Year. And true enough, a few days after the lunar calendar started, the temperature began rising. Although a cold front has hit the country again this week, last week was particularly warm and humid. I’ve also been spending a lot of time at work, and the heat and exhaustion averts my desire to sweat out in the kitchen. 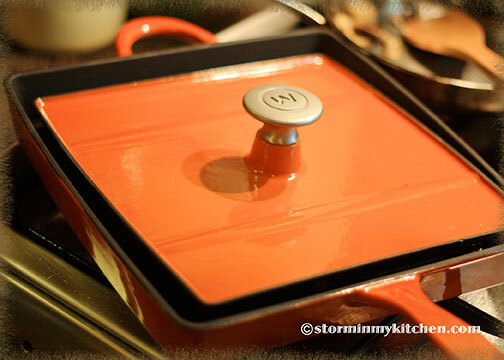 And so my new cast iron Panini grill has come to the rescue several times last week. 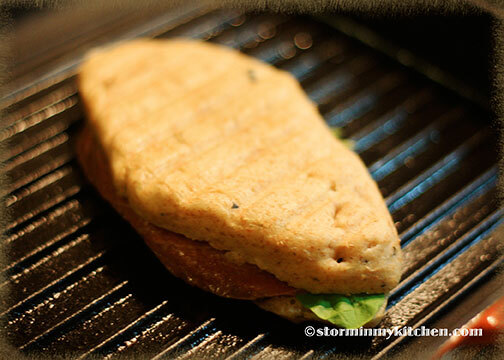 I love my Panini on focaccia, but any kind of bread will come out a winner really. 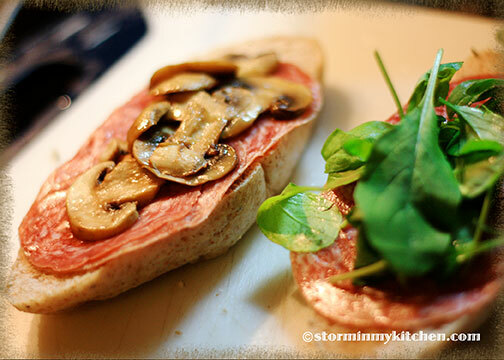 A few nights ago, I layered generous slices of Milano salami (I always have those on hand), sliced brown mushrooms (sautéed in olive oil, seasoned with salt and pepper), and arugula on whole wheat focaccia bread. 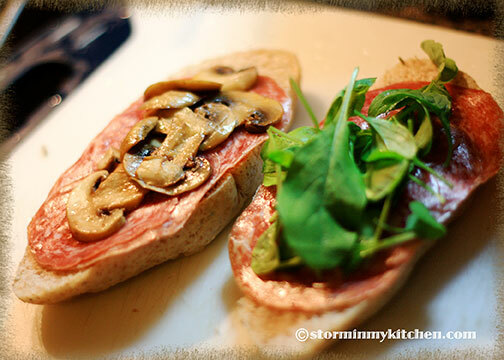 Then off it went to the grill, pressed into this gorgeous sandwich. Yummy! 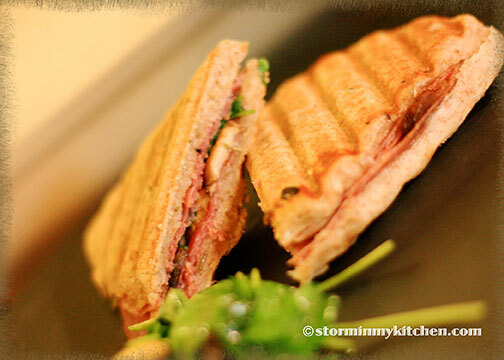 You are currently browsing the Sandwich category at Storm In My Kitchen.